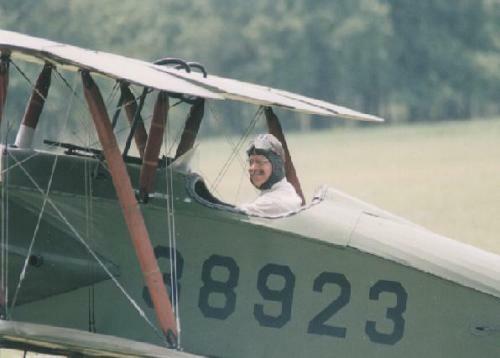 The jewel of the PFM collection is an original Thomas-Morse S-4C Scout. This is the only S-4C still flying, and one of only a handful that have survived from the days of the Great War. The museum's S-4C has been restored twice (that we know of), and it is powered by an original LeRhone rotary engine. This aircraft is currently down for recovering, but should be flying again as soon as we can get new fabric on it. Check out the Events section for updates on the new covering. The Thomas Brothers Aeroplane Company was founded in 1912. In 1915 it built 24 Thomas T-2 biplanes for the Royal Naval Air Service, and build a similar airplane on floats for the U.S. Navy. 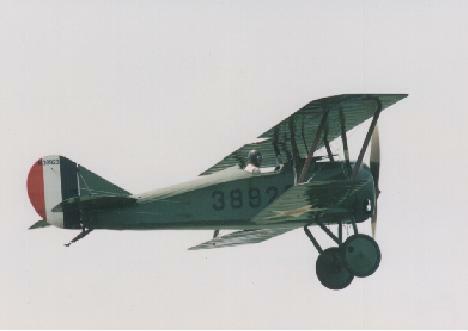 In 1917, Thomas Brothers merged with the Morse Chain Company to form the Thomas-Morse Aircraft Corporation. This new company made a more serious attempt to meet military requirements, and produced the prototype Thomas-Morse S-4 advanced trainer. The S-4 was powered by a 100-hp Gnome rotary engine. This was followed by the improved S-4C, about 50 of which were powered by the Gnome rotary engine and the remainder (448) powered by the more reliable 80-hp LeRhone rotary. 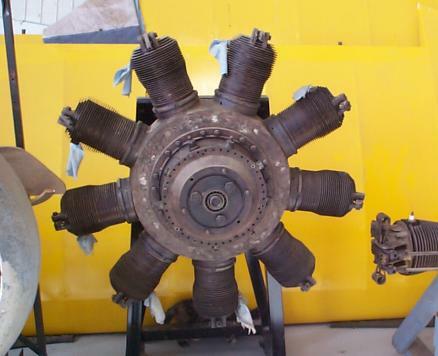 The WWI rotary engines are unique in that although they have a radial cylinder layout (with the cylinders arranged like the points of a star), the propeller was bolted directly to the crankcase and the entire engine spun with the prop. This was necessary to provide sufficient cooling for the higher-powered engines, but it produced some interesting flight characteristics. The great mass of the spinning engine acted as a gyroscope, causing the aircraft to have greatly differing flight characteristics depending on whether it was turning right or left. Fiddler's Green has a cardstock model of the Tommy.